Lemon and black pepper 70% dark raw chocolate bars. An avant-garde flavour that pairs refreshing sweet citrus notes with the spicy notes of crushed organic black pepper corns, all infused in smooth rich dark chocolate. 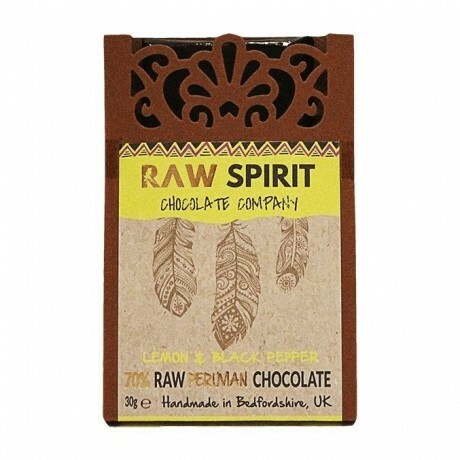 This chocolate has won a Great Taste Award 2018. 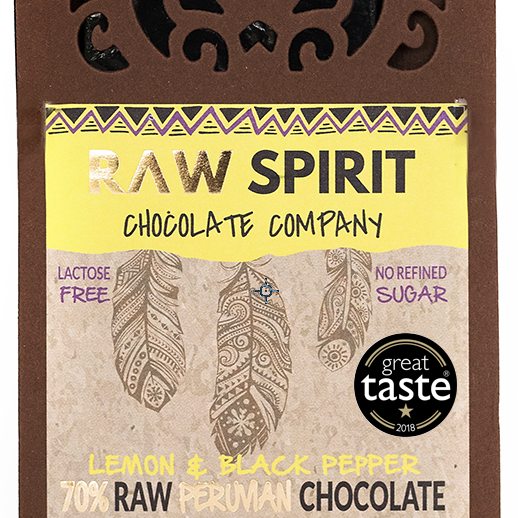 Raw organic cacao nibs, raw organic cacao butter, organic coconut blossom sugar, organic lemon peel oil, organic black pepper corns.